Really awesome creativity and craftsmanship! We love this Cool Neon EL Wire customer creation! 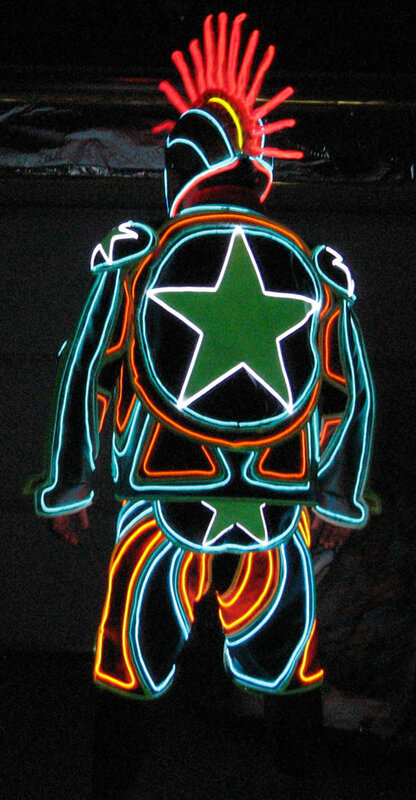 Check out our Gallery for more Cool Neon EL Wire creations by our friends and customers. Do you have a picture of something YOU made with Cool Neon EL Wire? Please share it wih us! Send it to benny @ coolneon.com – and/or post it on our Facebook Page! Total Control Lighting and Arduino Salon Cool Neon EL Wire Soldering Party in Oakland!